1) change "Mini-Chat" to "mini-chat" OR "mini chat"
3) sound off by default. 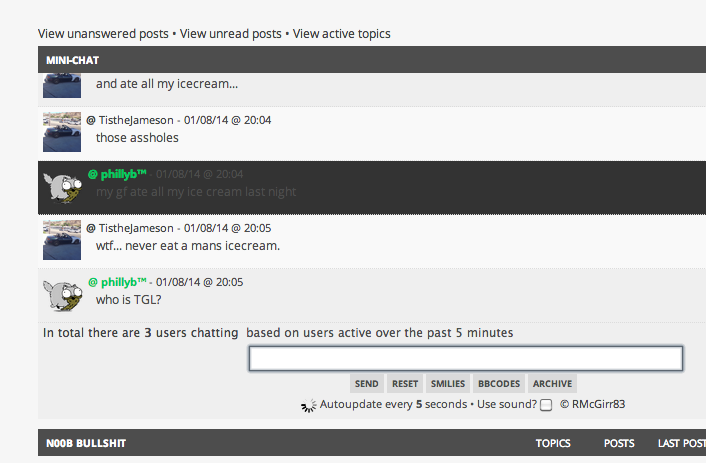 4) double posting in shout if you type quickly and hit enter quickly. 4) this one I will have a look at. 5) mouseover is a hover function. what color ya want? sound permanently off is something i'm ok with. i don't really want a hover color at all...is that possible? 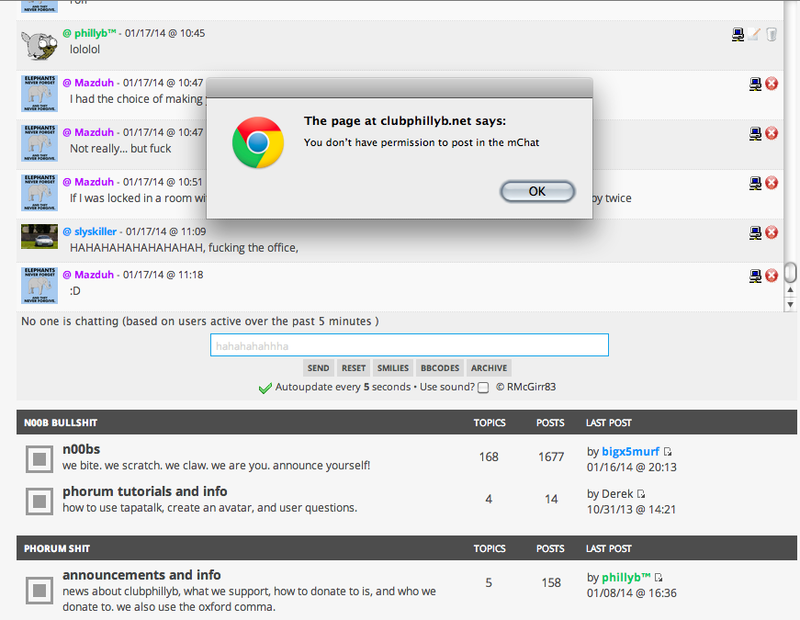 Maybe using some form of IRC integration may get rid of all this goofy awkwardness? Any way to make it update faster? Looks like the webpage times out or something. 5 seconds is the lowest update time. As for the remaining stuff, I have to dig into the java script of the shout. Something I am not very familiar with..